My name is Ryne and I am 12 years old. I live in a suburb of Chicago. I heard my Aunt Joan asking my father if he wanted to join the team she was part of for Alzheimer’s Association The Longest Day. I learned what it was about and asked my mother if there was a minimum age or if she thought I could join the team. First I thought it would be a fun thing to do, and then I thought about how much it could help people like my Grandma. I don’t understand Alzheimer’s disease very much. I just know how it has affected my Grandma. In the last couple of years I started to notice that my Grandma couldn’t remember how to do a lot of the things she used to do. She couldn’t remember how to make French toast for me on one of our visits. I always play card games and board games with my grandparents. We started to play Sequence once and my mother had to help my Grandma play because she couldn’t remember what to do. A lot of times now, she won’t even play with us, and I can tell it is because she doesn’t know how anymore. Today, I have had to change my plans a little for The Longest Day. Originally I planned to go on a two hour bike ride, play two hours of basketball, and in the evening, I had a baseball game. I had surgery on my elbow yesterday, so I cannot do any physical activity. I decided to honor my “Grammy” and spend the entire day playing all the card games and board games that she probably would love to be able to play. So far I have raised $355. Three of my grandmother’s brothers and sisters have died from complications brought on by Alzheimer’s. I wanted to get involved and raise money so scientists can work on better treatments and hopefully a cure. I worry that my Dad and I will get Alzheimer’s. I don’t worry about my sister though because she doesn’t forget anything! I am glad to have a chance to do something to help my Grandma and people that suffer like she does. I hope that I can participate in The Longest Day every year until there is no longer a need for it. I am going to try to get all my cousins to join me next year! 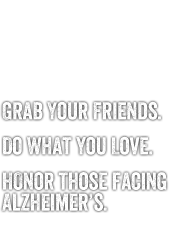 About the blog author: Ryne is participating in Alzheimer’s Association The Longest Day®, a sunrise-to-sunset event on June 21, 2013, to raise awareness and funds for Alzheimer’s care, support and research. Good for you Ryne! My mom passed away from Alzheimer's Disease several years ago, as did my grandfather and now I am (at 70 yrs. old) getting signs of it too. Hopefully there will be a cure or better prevention soon. Keep up the good work! Great job Ryne, we're so lucky to have you and your Aunt Joan on our side! God bless you and Aunt Joan.